50% OFF! All-in-One USB 2.0 Memory Card Reader worth Rs. 300 for just Rs. 150! Use one device to read multiple memory cards, and easily transfer files, such as photos to your computer. 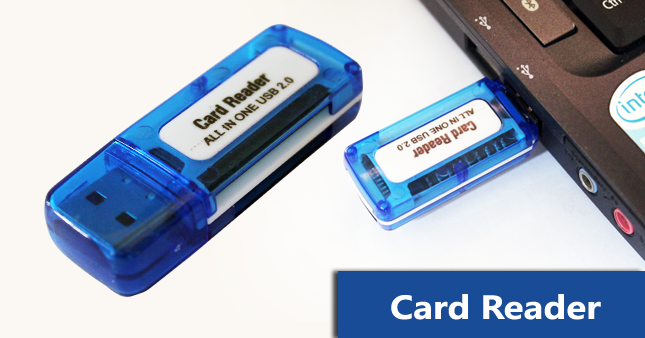 The CRSX 01 is a USB 2.0 SD/SDXC/SDHC Card Reader that connects to a computer and can also read MS, MS Duo, MS Pro-Duo, T-Flash, Micro SD, and M2 Cards. Reads high capacity SD and SDXC Cards and is Mac and PC Compatible. Voucher is valid only for one All-in-One USB 2.0 Memory Card Reader.